KAABIL: THE OFFICIAL GAME based on the ROMANTIC THRILLER of the year 2017 ‘KAABIL‘ STARRING HRITHIK ROSHAN and Yami Gautam- BY FILMKRAFT PRODUCTIONS (INDIA) PVT. LTD.
KAABIL:The Official Game is a STORY DRIVEN turn-based tactical puzzle game.Game challenges you to utilize a mixture of stealth and intelligence as you guide blind Rohan and Supriya to complete various objectives. KAABIL is story of LOVE,LOSS and REVENGE and game tries to deliver that experience in most interactive way. Interact with Rohan and Supriya with intuitive TAP and SWIPE controls to complete various challenging objectives. Experience CO-OP game play by controlling both Hrithik and Yami in turns to complete objectives. 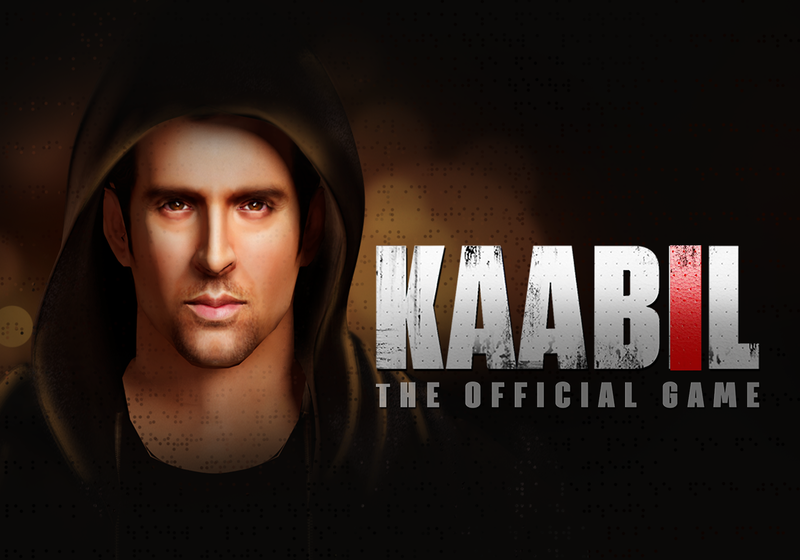 Experience the story of KAABIL in interactive way by completing 28 handcrafted levels. Tap over the hidden coins in levels to collect them. High quality realistic models of Hrithik Roshan,Yami Gautam and other star casts of movie.Beautiful visuals for locations from KAABIL movie. Plan your action against 4 powerful bosses with different weapons and abilities.Avoid innocent people,overcome dangerous guards and police and use traps for your benefit to succeed in game..
Rohan & Supriya are customizable for various costumes,Shoes,watches etc. 15 high XP-Value Achievements to unlock.Get rewarded with in game coins after unlocking each achievement. Various captivating soundtracks based on game missions. Play Contest -KAABIL Trivia and Get chance to meet Hrithik Roshan,Yami Gautam and other star casts of KAABIL movie. KAABIL is Free-to-Play, but some items like virtual currency-coins can be purchased with real money.Game requires internet connectivity and subsequent data transfer if you wish to save game data on cloud.Game stores your progression and other important game data on cloud.